Olive oil contains heart-healthy fats, making it a great choice for those concerned about a healthy diet. However, this amazing natural oil can also be used to solve a variety of household and beauty problems. A high-quality oil like extra-virgin olive oil tastes great for eating and cooking but for beauty and household purposes, a less expensive type will probably work fine. Taking off price tags and stickers often takes time, and it can be a real challenge to remove the entire thing. 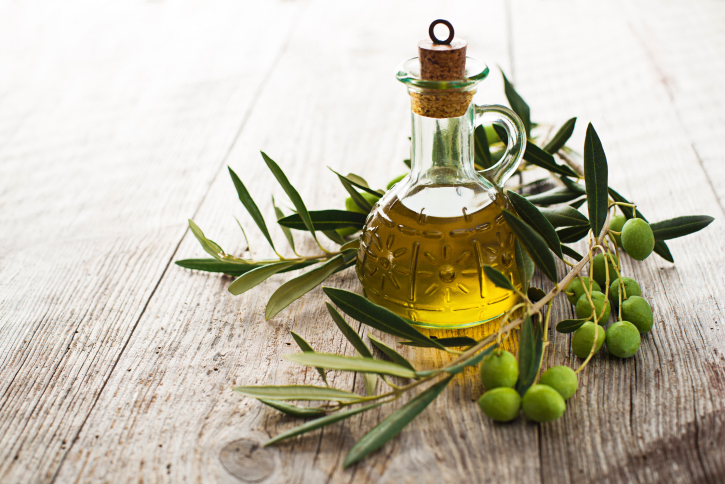 Stop stressing and get out some olive oil! Dab a sticker with oil, then wait for the sticker to soak up the oil. After waiting a minute or two and both the sticker and the residue will usually wipe off easily. Products for removing lice can contain potentially harmful chemicals. They can be expensive and sometimes they just don’t work. Try substituting olive oil for a simple – and often very effective – remedy. Simply coat the head and scalp with olive oil, then leave on for approximately an hour. Shampoo and repeat the process to get rid of the lice quickly. Breathe new life into leather or wood by applying olive oil. For wood, rub it in a teaspoon at a time, using a soft cloth. Allow time for the wood to absorb the oil, then just rub away any excess after about thirty minutes. The oil may also be used to protect wooden cutting boards, utensils and other kitchen items made of wood. Renew old leather baseball gloves, jackets and more using the same process. Sticky situations can also be solved using olive oil. To get gum off a shoe, or out of someone’s hair, soak a cloth or paper towel in olive oil. Hold it on the spot with the gum for about 10 minutes. The oil helps break down the gum, allowing it to be removed easily. Try using olive oil to squelch a squeak. Just rub a cotton ball or cloth dipped in oil onto a noisy hinge or spring. Then all you have to do is sit back and appreciate the silence. Best of all, this solution is odor-free and non-toxic. Olive oil keeps for as long as two years. After that time the oil starts to lose its flavor, and it may spoil. However, the oil will often still remain good for household uses. One bottle of olive oil makes a great substitute for so many different products. So give it a try to save money, save space and solve some problems, all at the same time.